A little slice of tropical paradise found just off the United State’s east coast, the Caribbean is a dream destination for many. Home to picture perfect islands, unspoilt beaches and cultures that are both unique and intriguing, it’s one part of the world that you should visit at least once in your life. 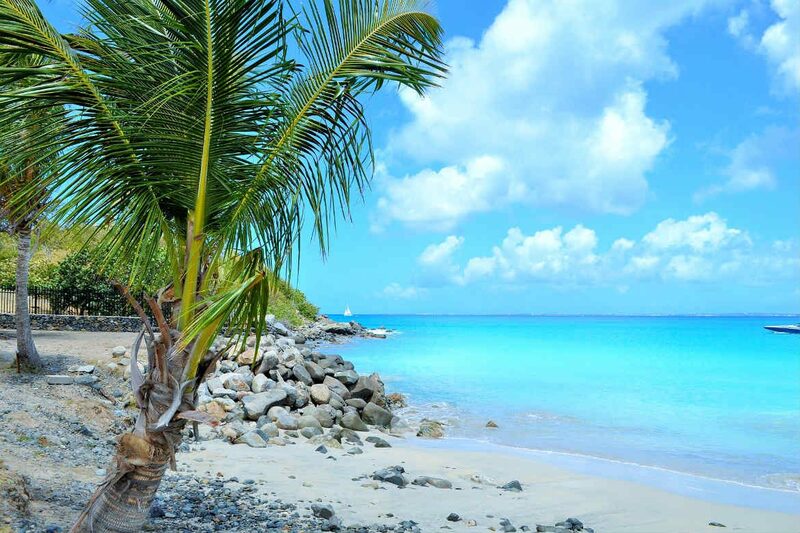 Before you plan your next holiday, check out these five unmissable Caribbean destinations! Comprised of more than 700 islands and thousands of islets and cays, The Bahamas are located to southeast of Miami and east of the Florida Keys. Surrounded by the expansive waters of the Atlantic Ocean, the archipelago stretches wide and far across the region, providing plenty of incredible things to see and do. White sand beach in The Bahamas. Image Credit: Joseph Bylund / CC by SA 2.0. Home to a wide assortment of activities and attractions, The Bahamas are perhaps best known for their pure white sand beaches, beautiful waters and great weather. Boasting more than 300 sunny days annually and kilometres of picturesque coastline, the islands and their beaches are nothing short of breathtaking. From the most populated islands to remote islets, every day in The Bahamas brings a new adventure. New Providence – home to the archipelago’s capital, Nassau, the island is a great place to start your adventure. Check out the National Art Gallery of The Bahamas, try locally distilled rum or shop for souvenirs at one of the island’s markets. The Exumas – the backdrop to countless Hollywood films, from James Bond to the Pirates of the Caribbean, this part of the archipelago is home to some truly stunning beaches. 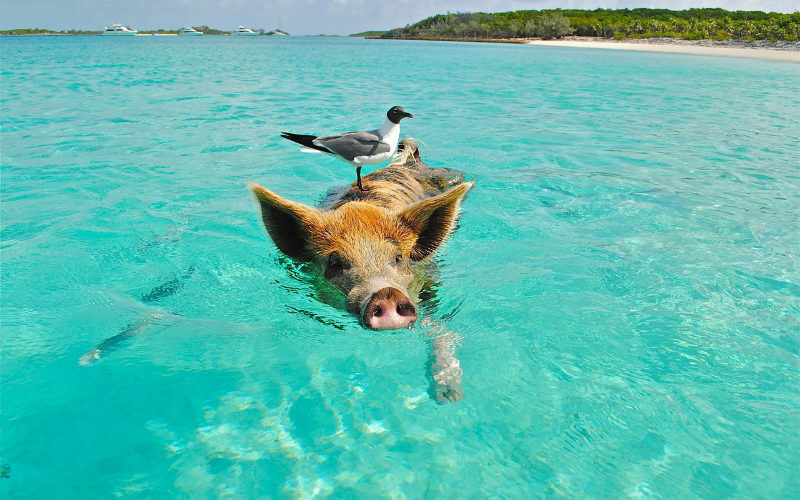 Swim with pigs at Major’s Spot Cay, laze on the pure white sands of Tropic of Cancer Beach or spend time snorkelling in wonderfully clear waters. Although the weather is generally great year round, The Bahamas are unfortunately affected by the Atlantic’s hurricane season. Lasting from June to late November, it’s during this time that the islands are more likely to experience higher rainfall and less than ideal conditions for a beach holiday. Similarly, the period from March to mid-April coincides with the USA’s spring break season, meaning that hotels and flights are likely to be in high demand from American college and high school students. For the best weather, consider visiting between December and March or from mid-April to June, but do keep in mind that these months do coincide with the peak season. Considered to be one of the Caribbean’s most popular holiday spots, in part due to its cruise port, Sint Maarten is located southeast of Miami and east of Puerto Rico and the British Virgin Islands. Set on an island that has been divided by the French and the Dutch, Sint Maarten is found on the southern half and is one of the Netherland’s island territories. 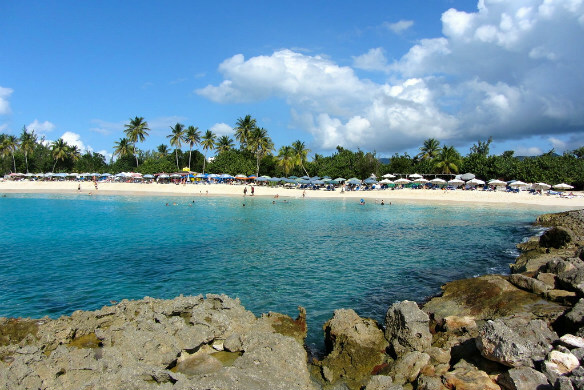 Mullet Bay, Sint Maarten. Image Credit: Richie Diesterheft / CC by SA 2.0. What is it best known for? Although the island was hit hard by Hurricane Irma in 2017, Sint Maarten has slowly recovered, offering visitors beautiful beaches, fantastic water sports and some of the best shopping in the Caribbean. Frequented by cruise ships, a visit to Sint Maarten reveals plenty of activities, from boat charters and tours to fun water sports, that show off some of its best assets. Smaller than a lot of other destinations, it is easier to get to know the destination and what sets it apart from its neighbours. 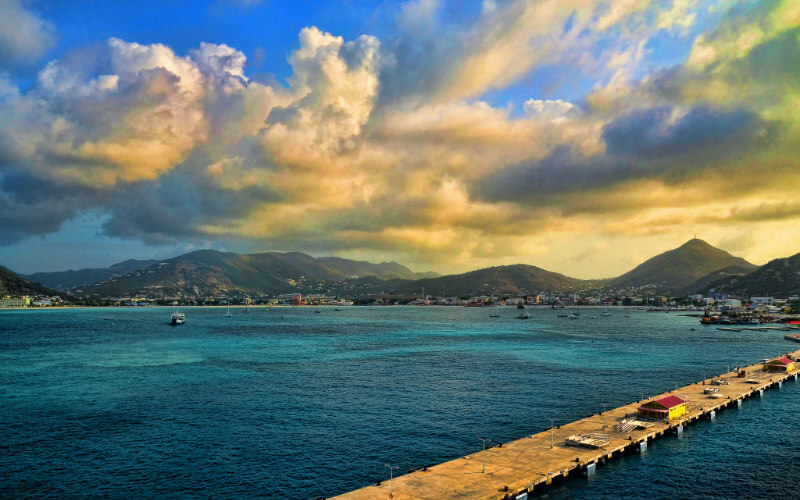 Philipsburg – as the country’s capital, the busy port is a great place to start your visit. Make the most of the island’s duty free shopping at the local boutiques and chain stores that line Front Street, enjoy a taste of Caribbean cuisine or simply spend time lazing on the beaches close to town. Mullet Bay – an alternative to Maho Bay, where aircraft fly low overhead, the beach at Mullet Bay is quieter than its counterpart. Take a dip in its clear waters, soak up the warm Caribbean sun or set out on a stroll along the scenic coastline. The months between December and May are often considered to offer Sint Maarten’s best weather, coinciding with the dry season. As with many other Caribbean destinations, the country is generally at its busiest in the period from February to March, meaning that January and April may be your best bet for more affordable accommodation and flights. Philipsburg, Sint Martens. Image Credit: Trish Hartmann / CC by 2.0. Consisting of four main islands and more than 50 other cays and islets, the British Virgin Islands are found to the east of Puerto Rico and west of Sint Maarten. Home to just under 30,000 residents, the archipelago is a British Overseas Territory, much like the Cayman Islands and Anguilla. Islands near Virgin Goda, British Virgin Islands. Image Credit: kansasphoto / CC by 2.0. 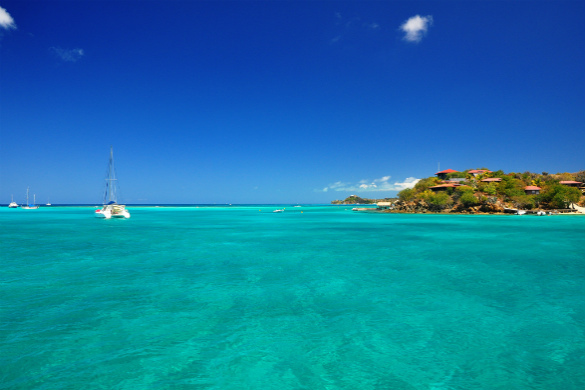 With beautiful coral reefs, picture perfect bays and steady trade winds, the British Virgin Islands have come to be known as one of the top destinations for sailing in the Caribbean. Said to suit everyone from novices to regular seafarers, the picturesque islands offer the perfect backdrop for a day out on the water. Tortola – the main point of entry to the archipelago, the island is home to beautiful beaches, a mountainous interior and plenty of charming villages. Hike to the top of Sage Mountain, surf at Apple Bay and Josiah’s Bay, or spend time exploring Road Town, the island’s largest community. Virgin Gorda – more laid back than its larger counterpart, the island offers plenty to see and do. 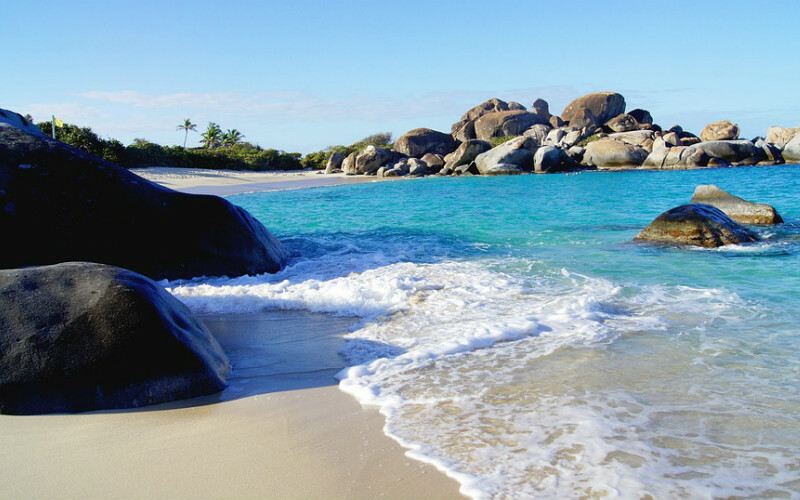 Visit The Baths (a natural formation of boulders, sea pools and grottoes), unwind on the white sands of Devil’s Bay and Spring Bay, or enjoy an afternoon discovering the shops, cafes and and markets of Virgin Gorda Yacht Harbour. Although the islands are typically spared the worst of the Caribbean hurricane season (June to November), the period between February and May generally sees the driest weather, while March, which can be the most expensive time to visit, is typically at the peak of its tourist season. Devils Bay, Virgin Gorda, British Virgin Islands. Located to the north of Venezuela and southeast of Puerto Rico, St Lucia is an island that straddles both the Caribbean Sea and the Atlantic Ocean. Combining old-world charm and all the amenities a tourist would ever need, it’s a destination that attracts adventurers, honeymooners and nature lovers alike. The Pitons, St Lucia. Image Credit: Destination 2 / CC by 2.0. While the island’s locals are likely to leave you feeling right at home, it is the island’s natural beauty that is St Lucia’s greatest drawcard. 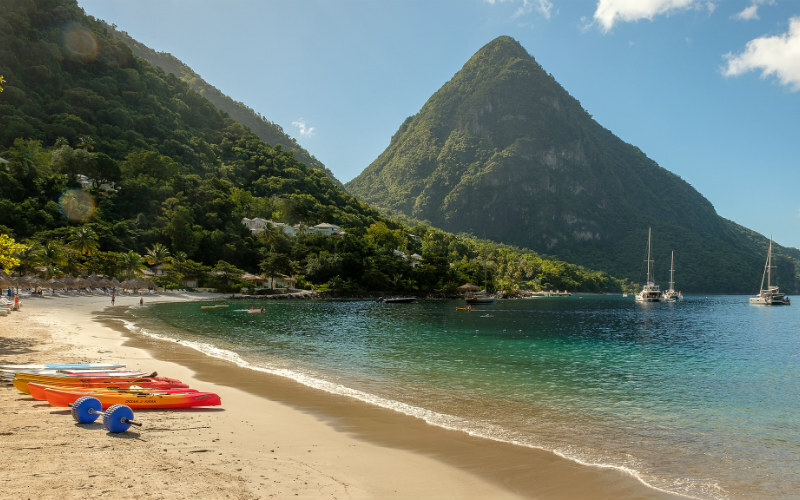 From the Pitons (twin peaks found on the island’s southwest coast) and ethereal waterfalls to its scenic beaches and lush interior, almost every inch of St Lucia is picture-perfect. Sugar Beach – arguably the most famous beach on the island, this coastal stretch sits between the Pitons. Soak up spectacular views of the peaks from the sand or water, unwind on a free public lounger or splash out and rent one of the more luxurious seating options on offer. 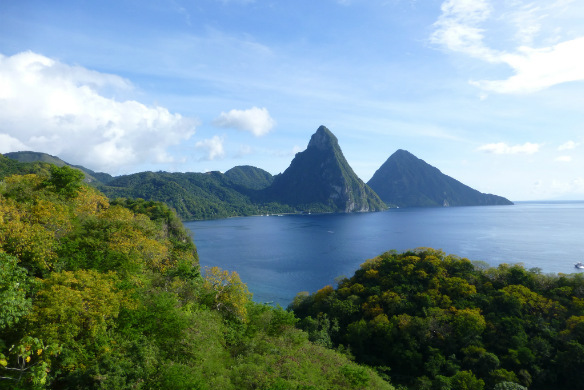 The Pitons – true St Lucian icons, these mighty peaks stand tall above the island. Enjoy their beauty from afar, on one of the nearby beaches or set yourself a real challenge and hike to the summit of either of these spectacular mountains. From December to April, St Lucia experiences its high season, attracting visitors escaping cold European and North American winters. During this time, prices are often higher, but the weather is generally at its best. With crowds starting to wane, you may find better and cheaper accommodation options in May and June when temperatures are still warm, while the island’s summer and autumn months can see higher rainfall and the possibility of hurricanes. Sugar Beach, St Lucia. Image Credit: alh1 / CC by ND 2.0. Another of the Caribbean’s British Overseas Territories, the Turks and Caicos Islands are two island groups found to the north of Haiti and the Dominican Republic. The Caicos Islands are the larger of the two groups, and together they encompass several main islands and dozens of smaller cays and islets. Smith’s Reef, Providenciales, Turks and Caicos. Image Credit: Snorkellingdives.com / CC by 2.0. 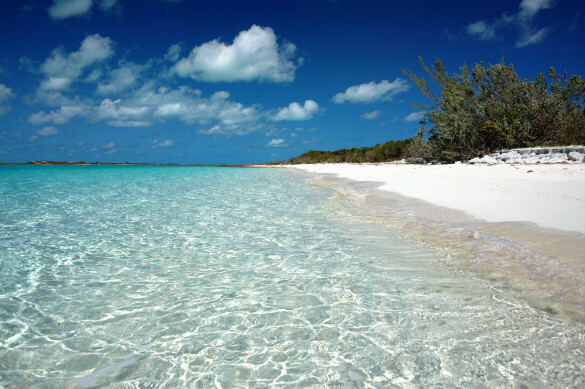 With Grace Bay, located on the island of Providenciales, named the world’s best beach for several years running, it comes as no surprise that the Turks and Caicos Islands are best known for their beaches. Home to the world’s third largest barrier reef, the island groups are also renowned for their captivating diving and snorkelling opportunities. Grace Bay – with soft white sands and clear warm waters, the beach at Grace Bay has been noted as the world’s best for several years running. Swim in the warm Caribbean waters, enjoy a stroll along the water’s edge or simply spend your time lazing on pristine sands.The surrounding national park, Princess Alexandra National Park is also well worth exploring. 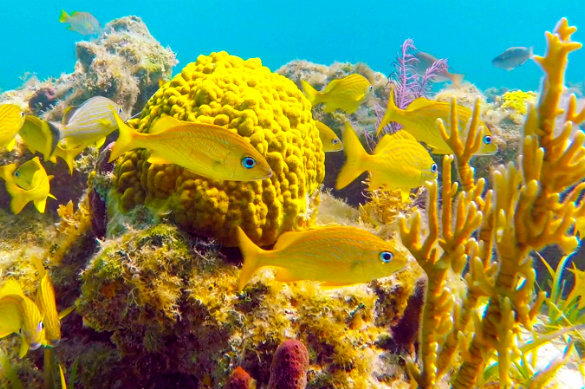 Smith’s Reef – one of the most easily accessible of Providenciales’ diving spots, the reef is a great place to head if you’d like to see some of the region’s diverse marine life in the flesh. From colourful corals to fish, rays and sea slugs, the wide variety of creatures that call the reef home will leave you well and truly in awe. 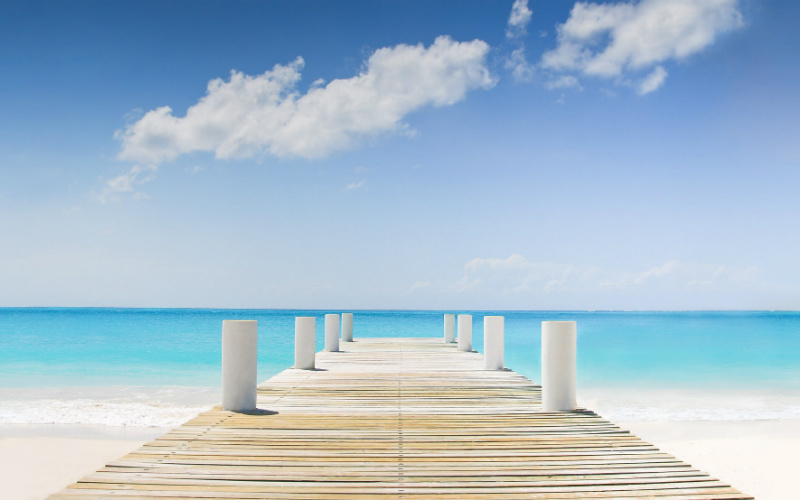 April and May are generally considered to be the best months to visit the Turks and Caicos Islands, with crowds waning and accommodation prices lower than during the peak season from December to March. Coinciding with the Atlantic hurricane season, the months between June and November can see higher amounts of rainfall and some hotels and attractions do close for maintenance at this time. Grace Bay, Providenciales, Turks and Caicos. Image Credit: John Voo / CC by 2.0. Excited to set out on an unforgettable Caribbean escape? Find fantastic Caribbean cruises and tours with Webjet Exclusives today!